Curious Arts Festival, a colourful program of comedy, dance, music, circus, workshops, film and family entertainment, is set to exhilarate Toowoomba audiences on 15 and 16 March. Featuring a mix of free and ticketed shows, the festival will be a feast for the senses for the whole family, bringing a rich variety of exciting arts events to the city. Headlining Curious Arts Festival’s curious list of events is well-known comedian Luke McGregor, who is set to return to the ABC with the third series of Rosehaven this year. 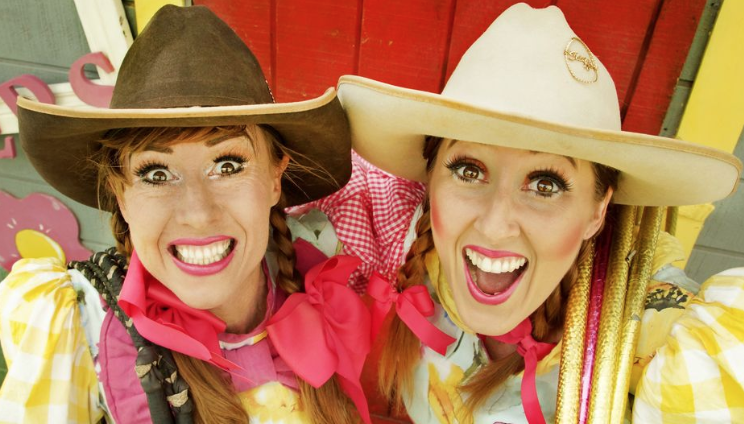 Also among the list of shows available at the festival is Chores by Hoopla Clique, a zany and comedic circus show that the whole family will love. The Crackup Sisters, famous for their whip cracking and acrobatics will also have attendees in hysterics with their circus and cabaret show. The festival will also feature a host of free events including street performers, heart-stopping circus acrobatics and contemporary dance integrated with projected imagery from one of Queensland’s premier dance companies, Expressions Dance Company. Curious Arts Festival will provide the artists of the Toowoomba region with the chance to work with some of Queensland’s most experienced performing artists through workshops, with the added opportunity to showcase their work during the festival weekend. Readers also enjoyed this story about a new music festival for the region.